Water is an essential asset in our world as without water; we would not exist since it makes up seventy percent of our bodies. So great is our need for it that we can die from dehydration. There are hundreds of ways in which we can make use of this resource and thus we need to ensure that we do all that we can to maintain its sources and quality. The primary areas in which we use water are domestic and industrial. Other ways we make use of this resource are recreational sports and commercial packaging for sale. There are very many ways in which water can get used in industry, ranging from simple tasks all the way to complex activities. For starters, some industries require it as a raw material. Such industries include those that manufacture soft drinks, juices, detergents and all sorts of liquid products which need water as a solvent. It is also required in small quantities as a solvent when dealing with water-soluble elements in the factory. Machines tend to get hot during operations, and instead of shutting down the processes to give them time to cool off, water is used on the devices to conduct the heat away and provide a cold atmosphere. It is also used to transport materials in the industry as well as in the production of hydroelectric power. A study conducted by Environment Canada went into detail on how water is not just a beverage anymore, but its uses extend to the making of products such as fabric and glass. An example of a way that it gets used outside the industry is in car washes where cleaners use tons of liters per car. We use a lot of water in our homes for various purposes. Most of our water use in the house is related to grooming such as bathing, laundry, doing the dishes, washing pets and brushing. Other than these, we also water plants, prepare foods and drink water. Having seen how much we need this commodity, it is necessary that we undertake steps to ensure that we maintain water quality at the highest levels. When we talk of water quality, we are referring to characteristics of water such as chemical levels, its physical appearance, biological features as well as radiology in the water. By looking at these characteristics, we get to tell the state of the water and whether it is suitable for a particular use. Water may be ideal for swimming but not drinking given the number of chemicals in the water. 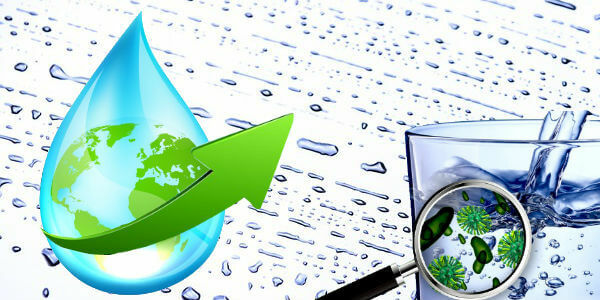 As we look into the quality of water, there are some aspects to which we pay a lot of attention. One of the critical considerations in quality is the effect of the water on the ecosystem. If water is of high-quality, it will not negatively affect the plants into which it comes to contact. 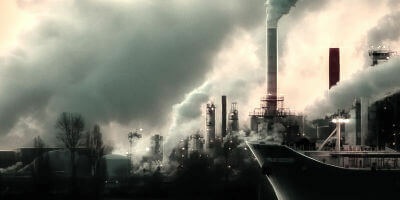 If it does, then there is a need for intervention as it can destroy the environment. In such cases where water is killing plants, it is likely to be contaminated with chemicals. The second thing we look at is its effect on human beings when they come into contact with it. Sometimes, people go a bit too far in cleaning their pools, and they use very harsh chemicals on the water. Though such elements will keep your pool clean, you are likely to suffer reactions such as skin rashes as well as dry skin. A natural water body can also get contaminated by things such as oil spills, and as such, human beings should not touch such water. The last thing considered in water quality is whether the water is suitable for drinking. If water has substances that are harmful to us, such water is termed to be of low quality and thus should not get consumed. Where water passes the three standard tests, it is considered to be of high quality. A while back, all we did was rely on the information given to us by companies, and we took their word to be the truth when it came to quality. As of now, we can get data by using systems to measure the levels of oxygen, pH and turbidity. Water is too essential a commodity for us not to be wary of its quality. Ensure that you handle water that has passed the three tests so that you can protect yourself which is something you can do through real-time monitoring.